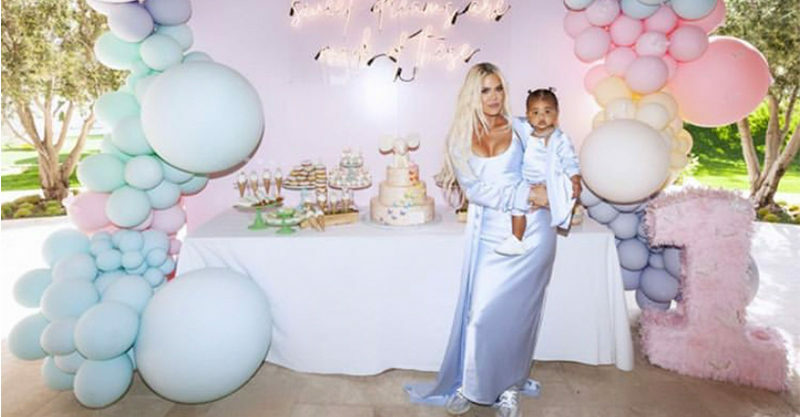 Young True Thompson – daughter of Khloé Kardashian and her ex-partner Tristan Thompson – has just turned one and she did it in typical OTT KarJenner style. 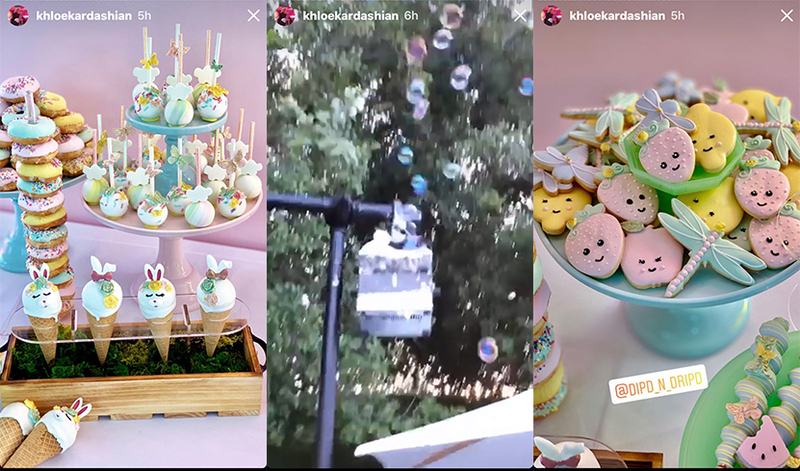 Khloé threw her baby girl a giant party, complete with ponies, a heck of a lot of balloons, gorgeous sweet treats, a donut wall and much, much more. 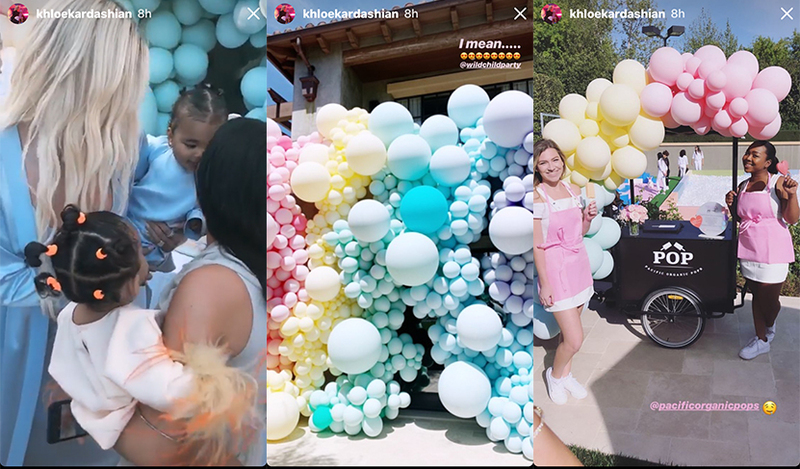 Word is that while Tristan was welcome at the event, that Khlo and he kept some distance between them for the sake of peace. 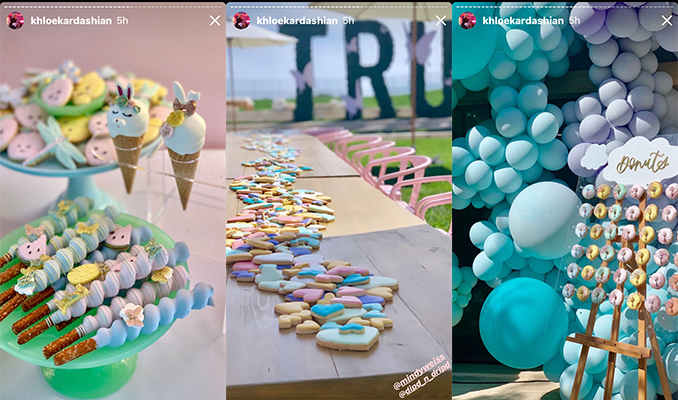 It’s the first event they’ve attended together since they split up in February following the reveal that Tristan had been secretly involved with Kylie Jenner’s best friend, Jordyn Woods. 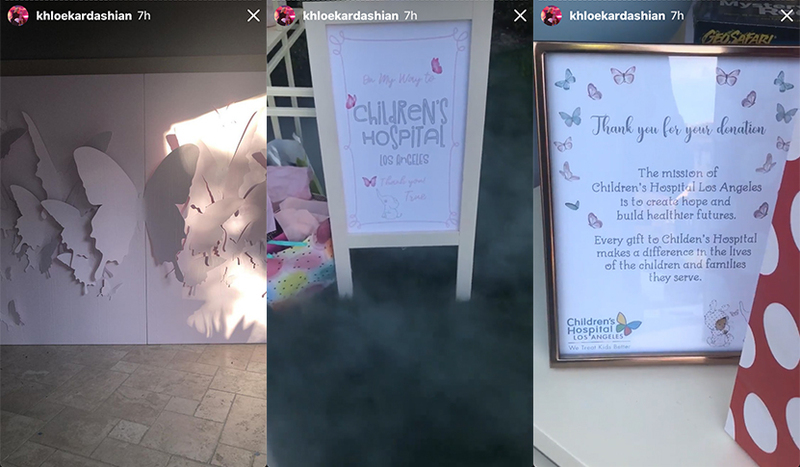 Apparently Tristan hung out with some buddies at the event, but things were obviously not as Khloé might have hoped for several months ago. “Everything went smoothly. 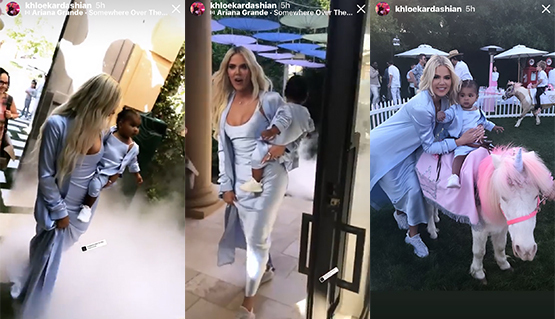 Khloé had asked her family to behave and leave Tristan alone. 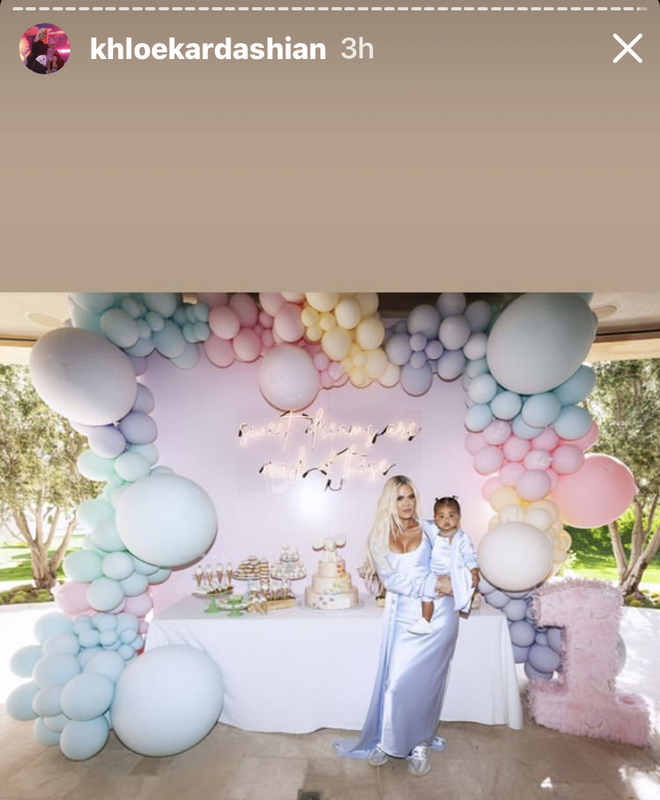 Khloé and Tristan posed for some pictures together with True, but otherwise had very little interaction. 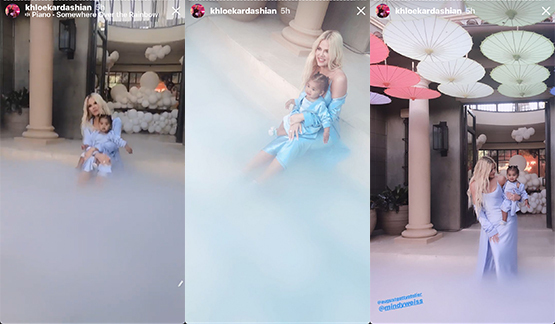 Khloé let Tristan spend some alone time with True,” People says. 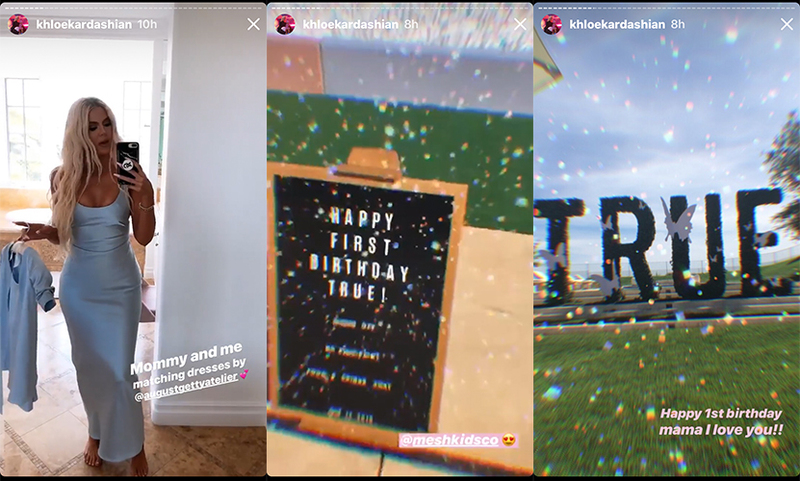 Khloé had been understandably emotional about True’s birthday milestone, last week tweeting that she was having anxiety about the occasion. 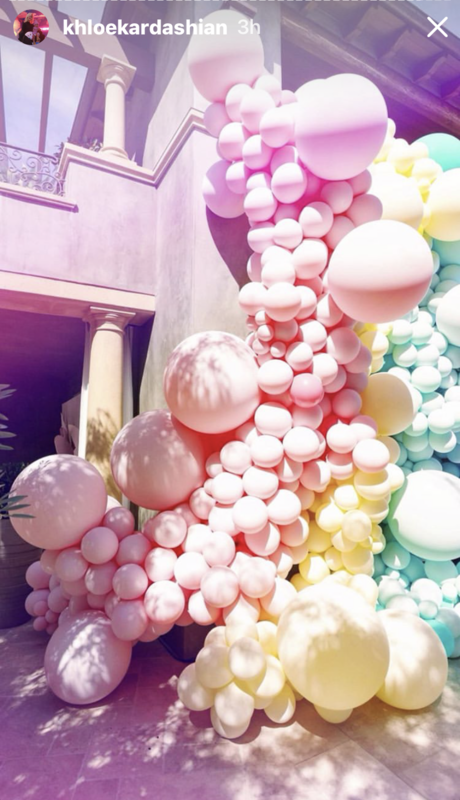 “Is it weird that I think I’m having anxiety thinking True will be one on Friday?!?! I’m sad time is flying as fast as it is,” she wrote. 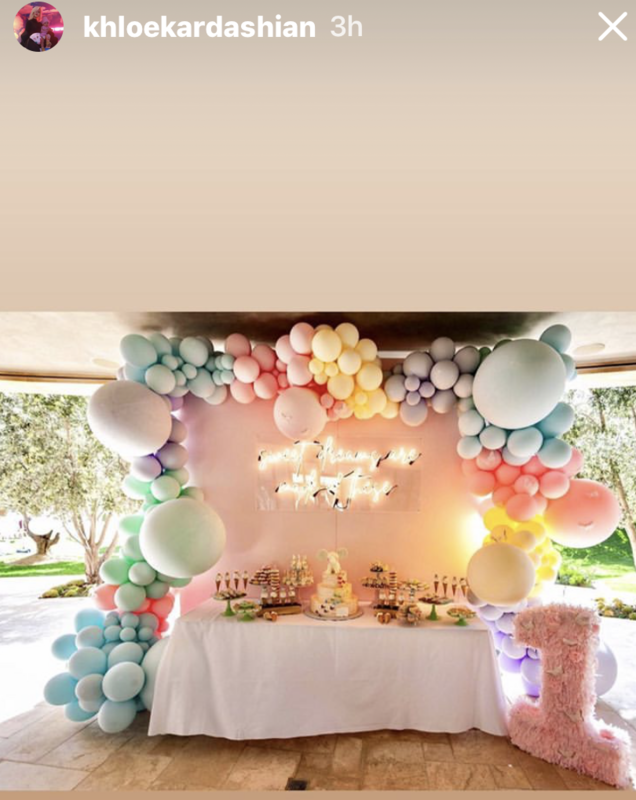 It’s brilliant that this couple are putting their baby girl’s happiness ahead of their own relationship struggles. 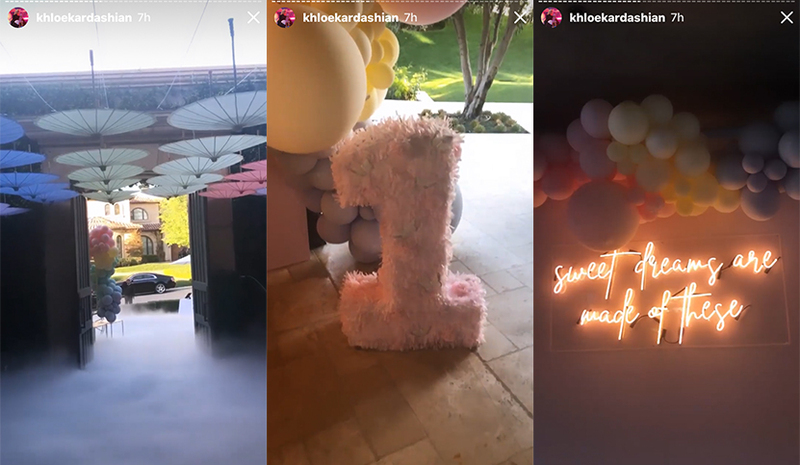 “My sweet and special baby True will NEVER be put in the middle of him and I. I can promise that,” Khloé said on Twitter recently and she meant it. 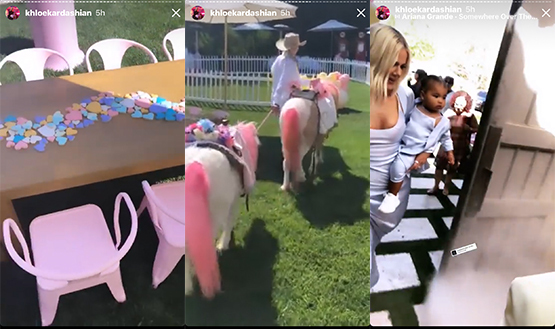 Looks like True had a perfectly brilliant day with both of her parents, surrounded by friends and family … and ponies too! And in case you missed it, here are some of this family’s birthday tributes to wee True. No better name could suit you my baby True…such True love I see between you and your mommy. Happy Birthday sweet girl.